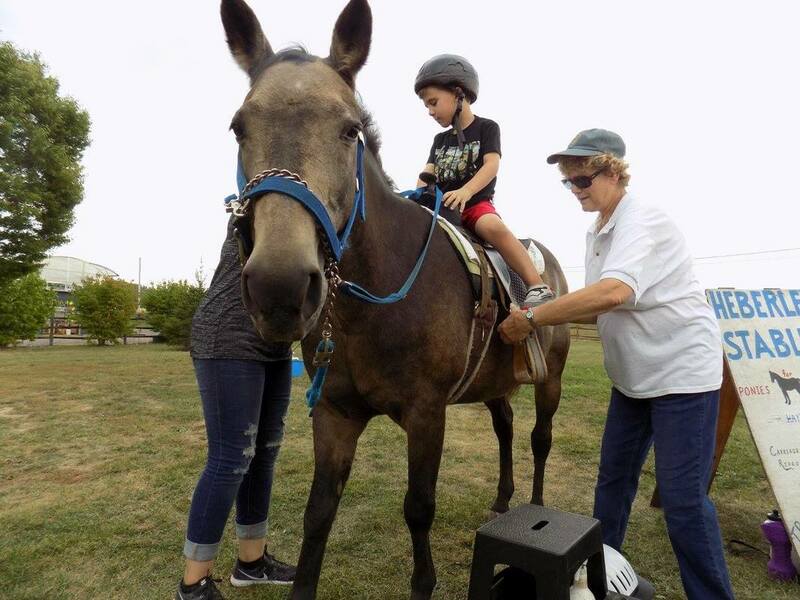 "Party ponies" led by Heberle staff are great for birthdays, company parties, neighborhood events....just about any occasion can be made especially memorable for children when a pony ride is part of the festivities! $25 non refundable deposit must be sent within one week of booking. Cancellation must be done within 4 hours before start of walk. If cancellation occurs a refund of payment less deposit may occur. Payment due in full at arrival of walk. Prices subject to change due to location of event, if outside our local travel area. Office charges will apply for special requests. $180 Base Price for one pony for a half hour. $45 each additional pony/half hour. Roch. Lodge # 24 B.P.O.E. Rochester General Hospital - Camp "Broncho Power"